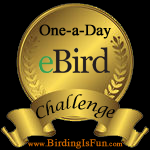 This entry was posted in Alberta Birds, Birding, Birding News, Blogging, Canada Birds, General Birding, Spring and tagged Birding, Birding News, Birds, Blogs. Bookmark the permalink. Goodness Prairie Birder, not a whole lot of wonderful news in Birding news this week…at least not for this environmentalist and bird lover. Of course I don’t understand hunting simply because one can… and it’s the trophy that counts, not the necessity of putting food on the table.